The Teamsters provide safety and health training at no cost to the student throughout the United States. 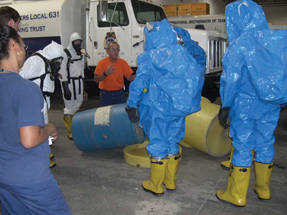 Teamsters Training Centers conduct courses at their own facilities and can transport instructors and equipment to hold courses at hazardous waste sites, construction projects, company locations and union halls ... anywhere. Teamsters Instructors have experience working in construction, remediation and HAZMAT transportation. Each instructor has completed the DOE Basic Instructor Training Program and the OSHA 500 Construction Trainer Course. 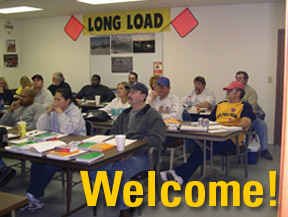 The Teamsters certify each instructor after a period of supervised instructing and evaluation. In order to maintain this certification, each instructor attends an annual Instructor Development Program that includes new regulations and work practices, practice teaching, and courses in specific health and safety topics. Each Instructor is certified in first aid and CPR.